We set out to create the best turkey meatloaf recipe, and here it is! 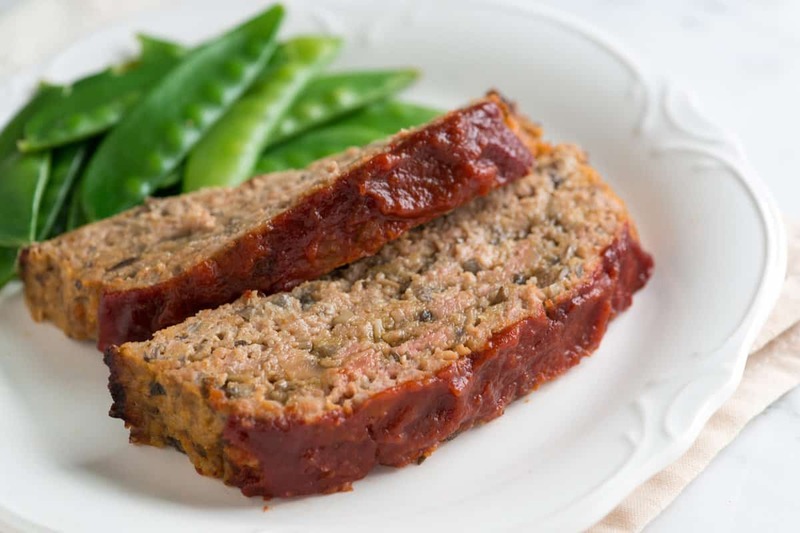 This turkey meatloaf is full of flavor, moist in the middle, and has become a reader favorite! Jump to the Turkey Meatloaf Recipe or watch our quick recipe video showing you how we make it. If you have turkey meatloaf skeptics in your life, this recipe will change their minds. It did for us. We never used to make turkey meatloaf. We make turkey meatballs all the time, but never meatloaf. That’s until we stumbled on the secret for making the best, juicy inside, flavorful turkey meatloaf. Now we make it all the time. Since ground turkey can be a bit dry and bland after it’s cooked, we needed to add ingredients that keep the inside moist and that added flavor. The trick to the best meatloaf lies in the vegetable aisle. It’s mushrooms! Thanks to tiny pieces of chopped mushrooms, the turkey meatloaf is moist and has unbelievable flavor. Umami-rich mushrooms add flavor and keep the turkey meatloaf juicy inside. If you aren’t the biggest mushroom fan, it’s okay! The meatloaf doesn’t end up tasting like mushrooms (I promise). Instead, the mushrooms add a lovely savory flavor to the turkey. We’ve used this trick before. Mushrooms are the secret ingredient to our easy turkey chili and these seriously good turkey burgers. Just like with this recipe, our readers rave about them (especially how flavorful they are). Cook chopped mushrooms, onions, and garlic in a skillet until soft. Stir in Worcestershire sauce and ketchup. Rehydrate breadcrumbs in some milk, which adds tenderness and moisture to the meatloaf. Mix the mushroom mixture with the breadcrumbs, milk, eggs, and ground turkey. Form the mixture into a loaf on a baking sheet, spread a little extra ketchup on top, and then bake. We bake the meatloaf in a 400 degree Fahrenheit oven for about 50 minutes. You can tell when it is done when an internal thermometer inserted into the middle reads 170 degrees Fahrenheit. For a perfectly browned crust, I form the meatloaf by hand and bake on a baking sheet. Not only is this turkey meatloaf delicious, it’s easy to make in advance. Make the meatloaf mixture a day in advance. 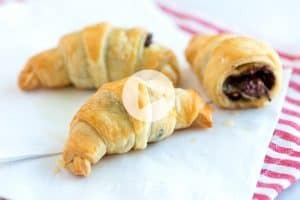 Follow the recipe below, but stop just before forming and baking. Keep the raw meatloaf mixture in the refrigerator for up to 1 day before baking. When you are ready to bake, form the mixture into a loaf, cover with ketchup and bake. You can freeze unbaked meatloaf. Follow the recipe below, form the meatloaf on top of a few sheets of foil on a baking sheet, but leave off the ketchup. Slide the baking sheet into the freezer and freeze until hard, about 1 hour. Wrap the foil around the partially frozen meatloaf, place into a freezer bag and freeze up to 1 month. Thaw overnight before baking. 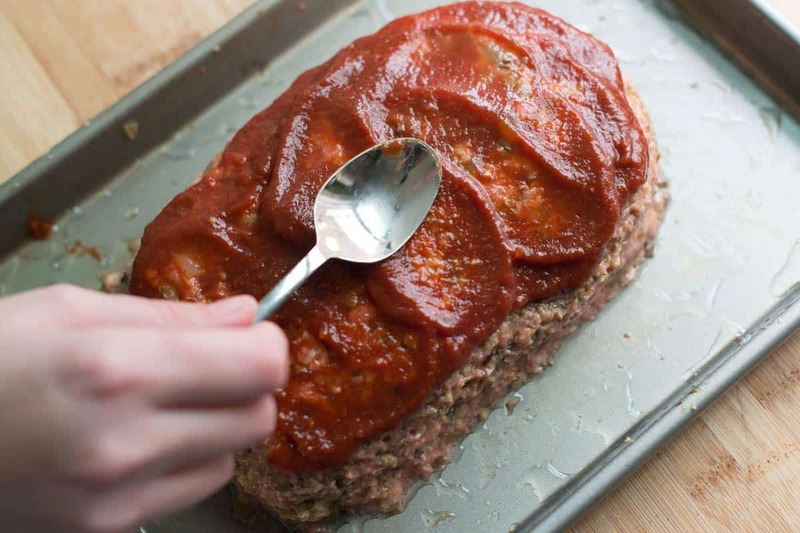 Freezing baked meatloaf. Let the baked meatloaf cool, and then wrap into foil and freeze up to a month. I like to cut the meatloaf into slices and freeze them individually so I can take one or two slices out when I need them. Try classic mashed potatoes or give our mashed sweet potatoes a try. For a low-carb option, try our creamy mashed cauliflower. 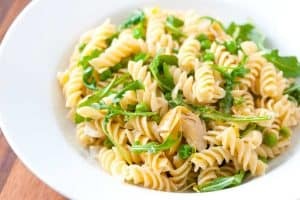 These buttered noodles would be amazing. Here’s my favorite method for roasting vegetables and I really love this cinnamon roasted butternut squash recipe. Since sharing our turkey meatloaf recipe, we’ve had some common questions so I thought I’d answer them here. Can I double the meatloaf recipe? Yes! You can double the recipe (which would use about 2 pounds of ground turkey). Double all the ingredients in the recipe below and expect to bake for a bit longer in the oven (15 to 20 minutes longer). I use my internal thermometer as a guide. How can I make the meatloaf gluten-free? For meatloaf without breadcrumbs, try ground gluten-free hard pretzels, rolled oats, brown rice cereal, or gluten-free Chex cereal in place of the breadcrumbs. You should also make sure the ketchup used is gluten-free or use homemade ketchup. Do I need to add the eggs? Eggs help to provide moisture to the meatloaf, but you can eliminate them completely or substitute with a store-bought egg replacer. Can I make the meatloaf without milk? For a dairy-free meatloaf, substitute the milk for unsweetened mild flavored plant-based milk like hemp or almond milk. I hate mushrooms, is there a substitute? Even though I love this turkey meatloaf with mushrooms, I have substituted them for grated zucchini with excellent results. 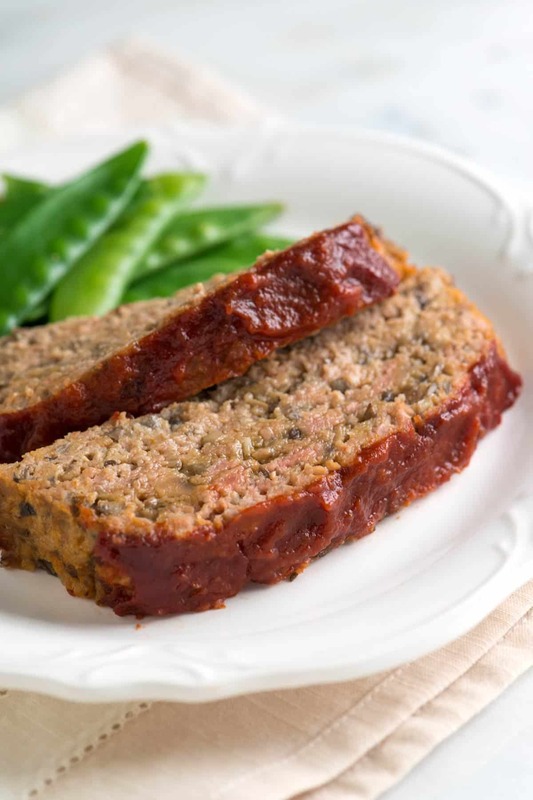 Our turkey meatloaf is full of flavor, moist in the middle, and has become a reader favorite! You would never guess this meatloaf is packed with mushrooms, but that’s what makes it so darn delicious. Lots of finely chopped mushrooms add flavor and moisture, often missing from the typical turkey meatloaf. When choosing which mushrooms to add, white button mushrooms will work perfectly fine. For more flavor, try one or a combination of brown cremini, portobello, or shiitake mushrooms. The mushrooms need to be very finely chopped. You can do this by hand or use a food processor. Heat oven to 400 degrees Fahrenheit. Lightly oil a rimmed baking sheet (or 9-inch by 13-inch baking pan) lined with aluminum foil. Heat oil in a large skillet over medium-low heat. Add the onion and cook, stirring occasionally, until softened; about 5 minutes. Add the garlic and cook until fragrant, about 1 minute. Stir in the mushrooms, a 1/2-teaspoon of salt, and a 1/4-teaspoon of pepper. Cook until the mushrooms give off their liquid and it boils away; about 10 minutes. Transfer the onions and mushrooms to a large bowl, and then stir in the Worcestershire sauce and 3 tablespoons of the ketchup. Set aside to cool for 5 minutes. Meanwhile, combine the breadcrumbs and milk in a small bowl. Stir the breadcrumb mixture and the eggs into the mushrooms and onions. Using a fork or your hands, gently mix in the turkey, a 1/2-teaspoon of salt and a 1/4 teaspoon of pepper. The mixture will be very wet. Form the meatloaf into a 9-inch by 5-inch oval in the middle of the prepared baking sheet. Spread the remaining 4 tablespoons of ketchup on top. Bake the meatloaf until an instant read thermometer inserted into the thickest part of the meatloaf registers 170 degrees F, about 50 minutes. Let stand 5 minutes before slicing. Some stores sell ground turkey in 1 pound portions and others in 1 1/4 pound portions. While we like using 1 1/4 pounds, 1 pound of turkey is adequate for the ingredient amounts shared in the recipe. 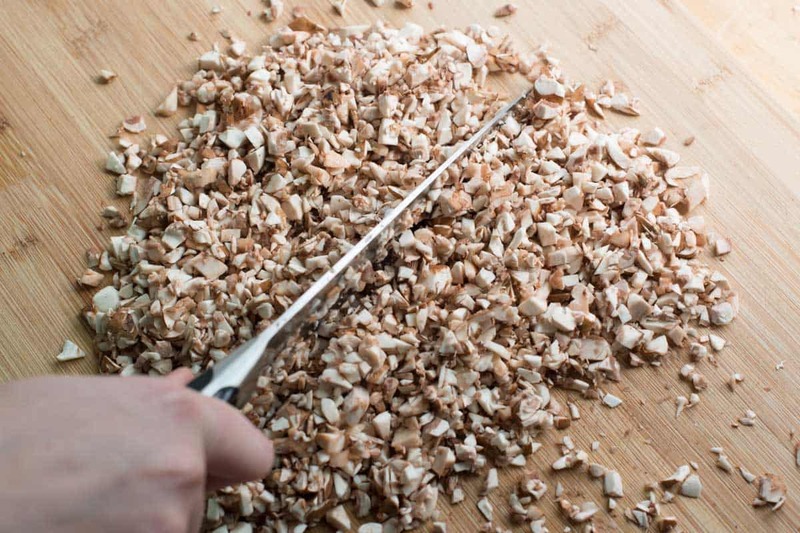 To speed up the prep time, use a food processor to chop the mushrooms. This was the best ever Turkey meat loaf I’ve ever tasted. Very moist and taste. The mixing the ketchup with the other ingredients make a big difference. Thank you for sharing. 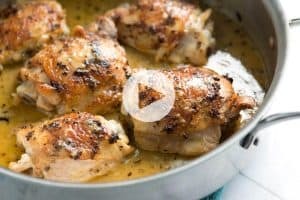 This is an amazing recipe!!! Moist, delicious. You will be so happy!